searched everywhere to get the above book but don't know where to get. Does any one know where about to buy this book? or maybe in previous McCall's Magazines starting from December 1997. (In a series of 6 or 7 magazines. Would be grateful if someone can help me. 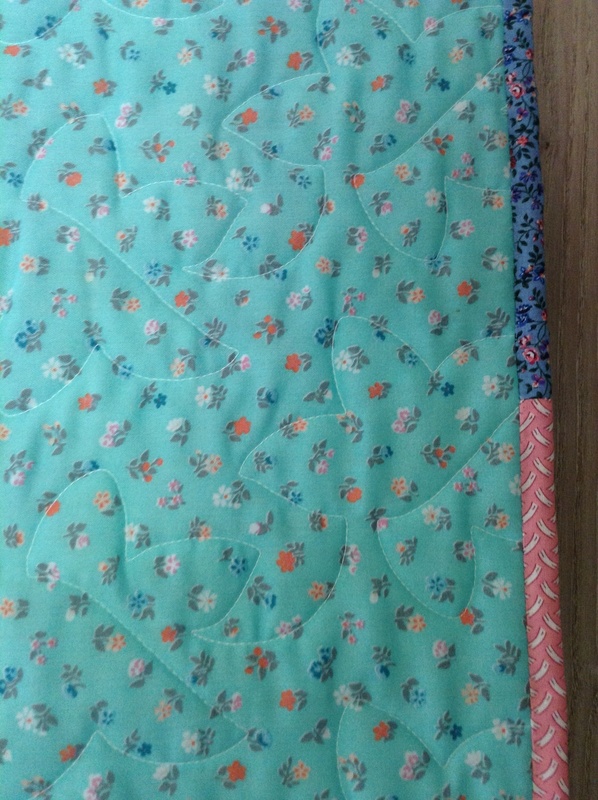 I have just finished the binding on this Quilt Just needs a label and it's on the way to Hyderabad, India!!! All 1930s repro fabrics. 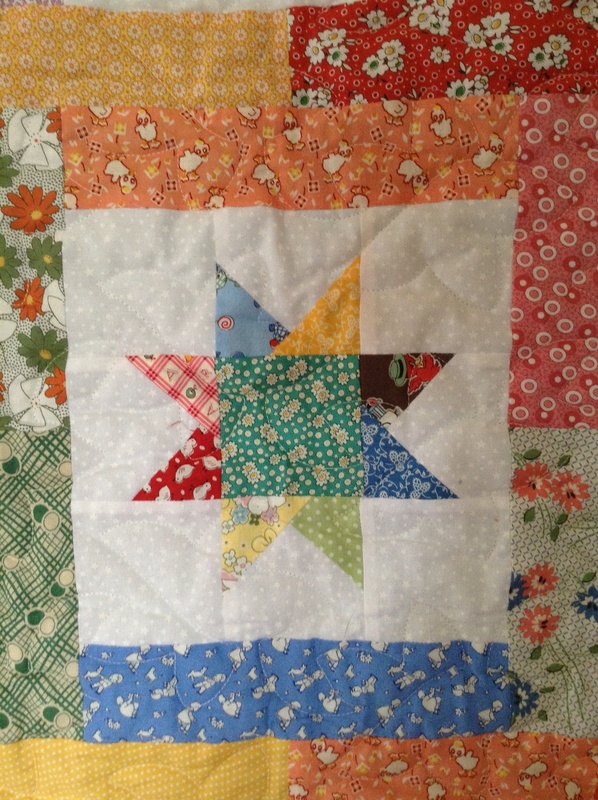 Wonky Stars....fine wool batting....quilted by my Long Arm Quilter friend. My DH plays Scrabble on line with an Indian lady...this is for her 2yr old daughter! This is one of my favourite patterns...great to use up some scraps....though they don't seem to diminish!!!! 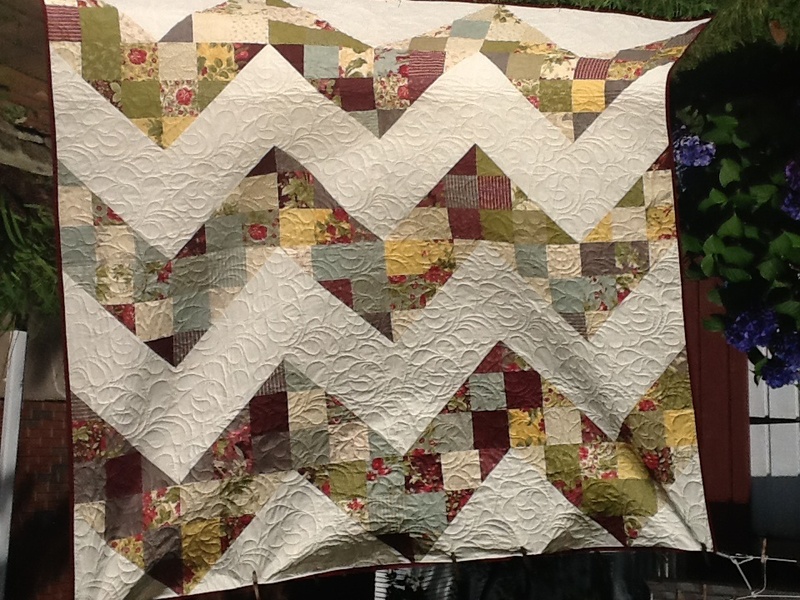 Does anyone know of a quilt shop in Philadelphia as I shall be visiting in October. 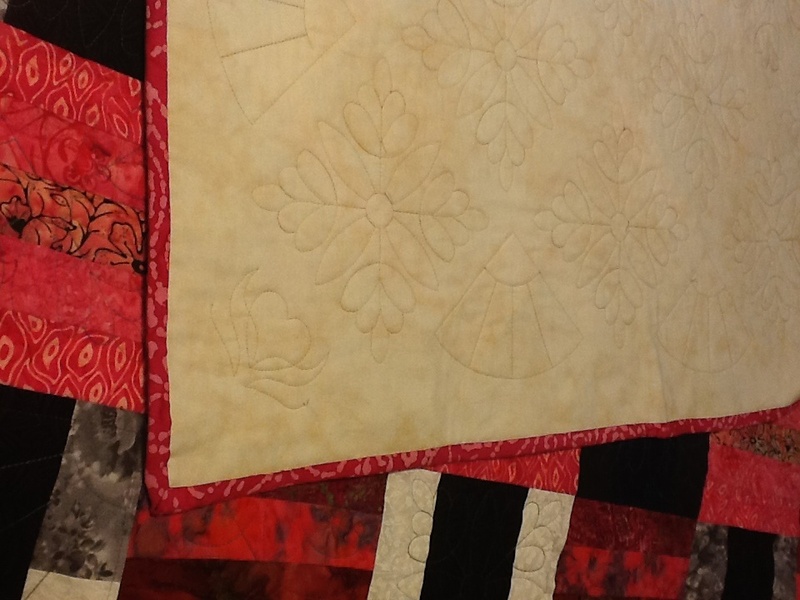 I started quilting last October after I retired. Now I want to share some of my work. 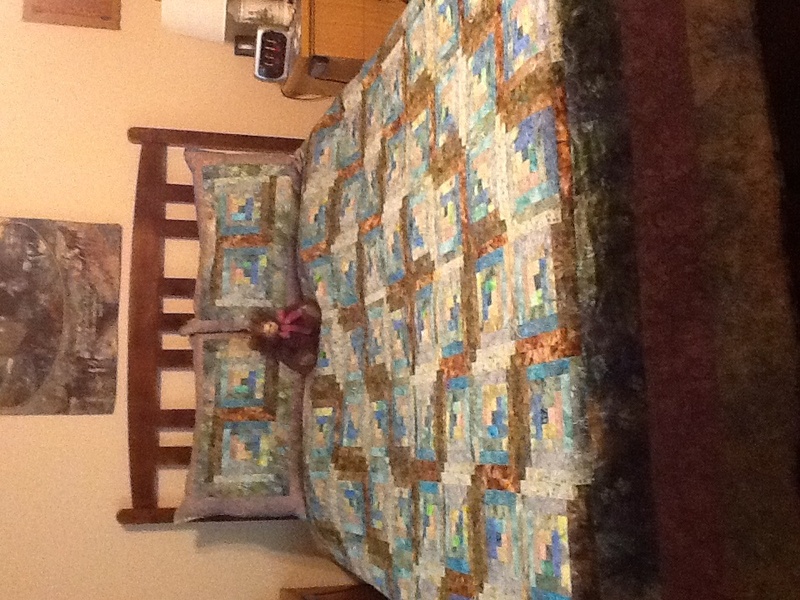 The log cabin quilt is on our bed and was quilted by a local long arm quilter. 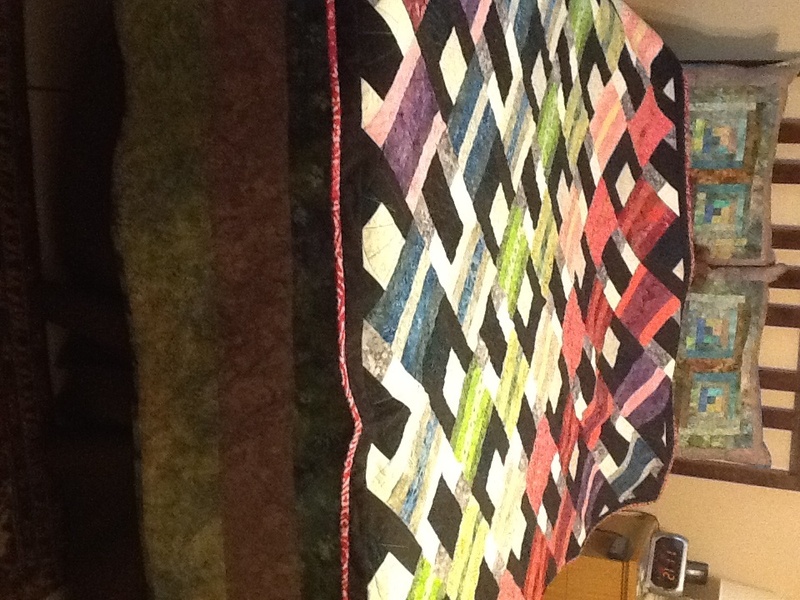 The rainbow quilt I did the quilting with my Baby lock ellisimo gold. Any suggestions to a beginner quilter on a good quilting machine? Thanks. 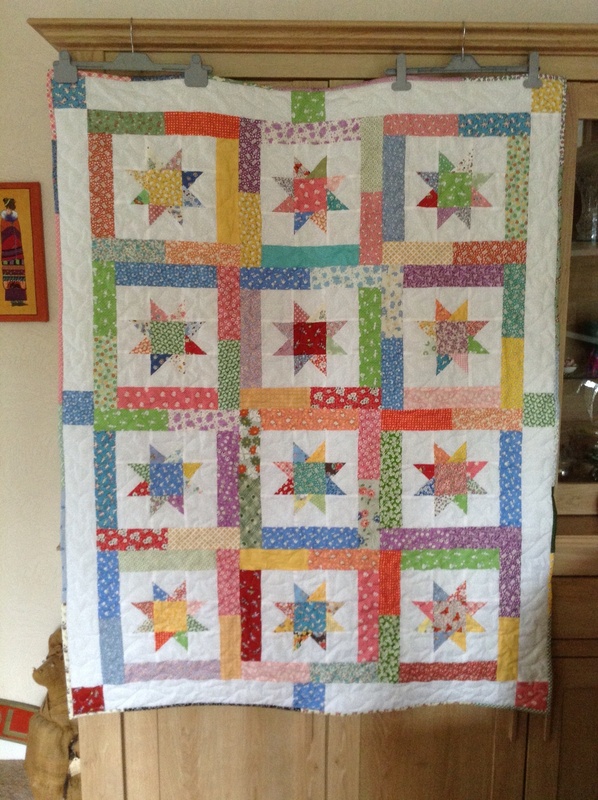 Hi all, I am getting ready to paper piece the wedding star quilt by Judy N....and was wondering if anyone knows of any tutorials or any help I may find on the board or online. I did find how to cut the material but nothing about sewing the pieces together. I do have directions but would really like to see a video if possible. Thanks for your help!! My Farmer's Wife Sampler Quilt !! My goodness ... I just had a PM from someone looking at my Pony Club quilt, to point out to me that I had not posted my completed Farmer's Wife Sampler quilt. It's hard to believe that it's been over a year sinc I finished it. 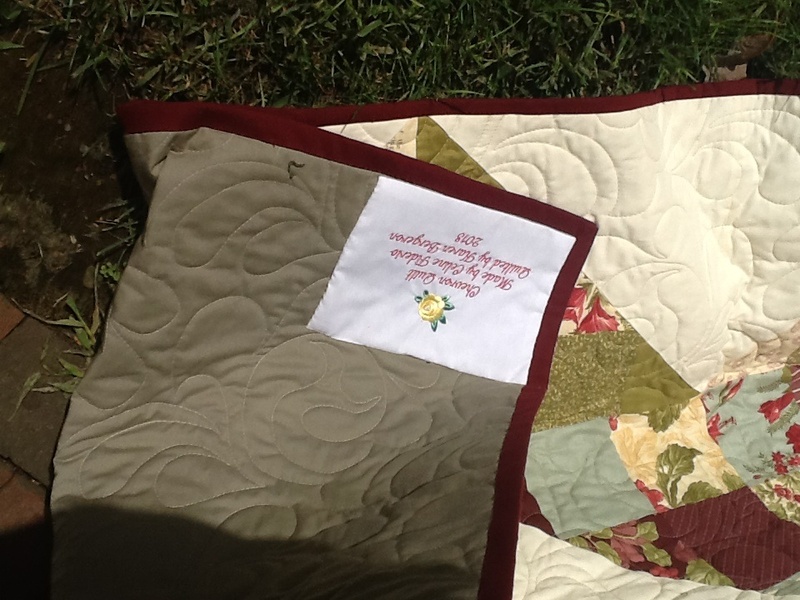 This too, was a Quilt-Along here on the QB ... I joined the Ladies part way thru their journey, shortly after I joined the QB. When I read about it, it called to me repeatedly, until I decided to "start". You see, I too was a Farmer's Wife!